Best Management Practices, or BMPs, are techniques used to help mitigate water quality. There are many different types of BMPs, geared toward both residential and commercial applications. Silt fences and storm drain filters are two forms of inlet protection used to control the amount of sediment pollution that enters the storm drains. Constructions sites are often required by municipal ordinances to provide some type of inlet protection during construction. 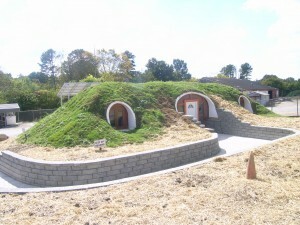 Stormwater runoff quantity is controlled by using water storage techniques on site. Under or above ground water containment systems like cisterns can be implemented to satisfy the water quantity control regulations put in place by the stormwater ordinance. Rain barrels are useful for collecting rainwater from the roof and prevent stormwater from accumulating in unwanted areas of the property like in the driveway or a low spot in the lawn. The collected rainwater can be used for irrigation in gardens and landscaping, as well as to wash cars and other tasks that use non-potable water. The best part is that they are easy to make on your own! Rain chains can also be paired with rain barrels as a decorative way to slow stormwater runoff. Rain gardens are a good alternative to the typical non-edible garden because they are designed to collect, hold, and filter stormwater. They are designed to collect and filter stormwater. Native plants and shrubs make for a beautiful landscape that helps water quality and quantity! Permeable, in this case, means that water can infiltrate the surface. Permeable pavers, pea gravel, and pervious pavement installations are great ways to help increase infiltration into ground water, and help control pollution, flooding, and pooling. Impermeable surfaces block the infiltration of stormwater and encourage flooding and pollution to the waterways. 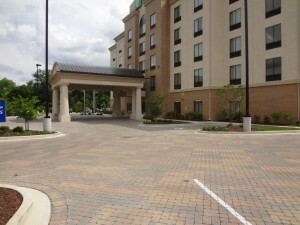 We often see impermeable surfaces in the form of sidewalks, driveways, and parking lots. Green Roofs not only reduce the negative effects of stormwater by absorbing and slowing runoff, but they also lower the SRI (Solar Reflectance Index). SRI is defined as “a measure of the roof’s ability to reject solar heat, as shown by a small temperature rise” . Having a low SRI can help lower energy bills in warmer weather because the roof will absorb less heat from the sun. Green roofs also act as a good insulators, which will help keep heat inside the building’s envelope during cooler months. Infiltration Trenches and Bioswales are good options in place of concrete swales because they increase infiltration of stormwater runoff, effectively filtering and slowing runoff before it enters a nearby waterways. When your car needs a wash, either take it to a commercial car wash (wastewater is directed to the sanitary sewer system), or wash your car on your lawn! By doing this, you can prevent pollutants such as oil, soap/chemicals, and debris entering the storm drain, because the grass works as a filter as it infiltrates the wastewater. When washing out paint brushes or dumping out dirty mop water, do so in your sink so that the wastewater is directed to the sanitary sewer. Another option is to dump the water and wash the brushes in a grassy area, but not down the gutter or storm drain! 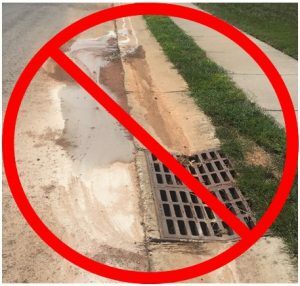 Remember, all storm drains lead to the streams, and if the brushes are too dirty for your sink, they are definitely too dirty for the natural waterways! If you need to dispose of oil-based paint, contact Anderson County Solid Waste at (865) 463-6845 for information on how to do so. Collect your grass clippings after mowing the lawn. When clippings are allowed to flow into the storm drain, they eventually get to the streams and can negatively affect the ecosystems of those streams by increasing algae growth which can cause aquatic life to suffer. Same goes for fallen leaves! These Best Management Practices (BMP) guides were designed to help business owners in Oak Ridge prote ct stormwater quality, and avoid illicit discharges and fines. Please click on the links below to find our more information.